Is There Any Support Available Post-Adoption? Here at Blackpool Council Adoption Services, we fully understand that adoption is a huge life-changing decision for all involved, that’s why we are there to support you every step of the way, not only during the adoption process, but in your post adoption journey too. We know that adoption is much more than a legal process. When you adopt a child, you welcome them into your life and will help them to grow and develop, and share their future. Blackpool Council Adoption Services is a Local Authority adoption agency, based in the North West of England. We help families throughout Lancashire and the North West (within a 50-mile radius of Blackpool) to grow by adopting children who desperately require a permanent, loving home. At Blackpool Council Adoption Services, we put absolute priority on the safety, happiness and wellbeing of the children we care for. This means that we will always do our best to ensure that an adoptive family and a child are a really good match - allowing them to become a family in a way that will enrich all involved. We are thorough in our pre-adoption assessments and we go the ‘extra mile’ in giving reassuring and effective post-adoption support for families. We are also a member of the Adopt North West partnership and we are highlighting the real need for adoptive families throughout the region. If you’re reading this blog, there’s a good chance you’re already aware of how important adoption is, and how exciting yet emotional the process can be. As with any big decision, adoption can feel daunting at times, and this, along with feelings of uncertainty really point to a need for support during and after the adoption process. Our primary goal is the happiness, safety and wellbeing of the children in our care, and this means that the happiness and wellbeing of the families who adopt them is of utmost importance! We guide adoptive families through every step of the way - from the initial decision to adopt, through the application process, and then with the post-adoption phase. We know that many prospective adopters and current adopters have concerns over the support given during the adoption process, especially after an adoption order has been made. The post-adoption phase can be a difficult or worrying time for many people. After all the hustle and bustle of the adoption process, it’s easy to feel like you’re ‘on your own now’, left to cope with your new life. However, that needn’t be the case! We know how important it is for adoptive families to feel supported through these times - we work hard to develop a strong network of support, from social workers as well as other adoptive families, to ensure that any questions or difficulties you may have are fully resolved, so we provide a wealth of contact points, advice, and assistance to make sure the post-adoption period is the happy ‘new start’ it ought to be. Whatever step of the adoption process you’re taking, we’re here to guide you and make the experience as happy and easy as possible. 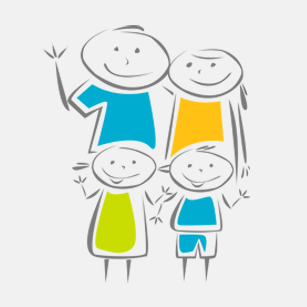 Blackpool Council Adoption Services currently has over 50 children in need of a prospective adoptive family. The UK as a whole has over 4,000 children who need a forever family, and the North West has over 600 children currently in care. We need to place children of all ages and from a variety of backgrounds, including sibling groups who need to stay together. So we are looking for a wide range of prospective adoptive parents from the North West and beyond. There’s no such thing as the perfect or typical adoptive family. You have to be over 21 to adopt, happy to make space in your life and home for a child, patient, flexible, energetic and determined to make a real difference to a child’s future - for a lifetime. We provide adoption services within a 50-mile radius of Blackpool, which includes all of Lancashire, and towns such as Warrington, St Helens, Blackburn, Bolton and more. If you live in the North West and are thinking of adopting a child, or you know anyone who is thinking of adopting in the area, please do get in contact with us. You can find out more about us on our website, www.adoptwithblackpool.com, or you can talk to us on 01253 477888. You can find out more about the post-adoption support we offer here. Note from Gem at Life with Katie. This post has been written by Blackpool Council Adoption Services. I have agreed to publish the post to support their efforts to find adopters. No recompense has been received for this post other than the hope that the children who are waiting to be adopted are able to find homes as soon as possible. Hi, I enjoyed reading this post, I found it to be clear and informative. I think it is helpful to address and highlight the issue of post adoption support as this can be a huge barrier to some people coming forward to adopt. I also know the importance of accessing post adoption support and I like the fact that the support has been listed as support comes in various forms from both professionals and other adoptive families. Talking about post adoption support from the beginning also makes it less of a taboo for adopters when they need to access the support further on down the line. Hiya!! Thanks for your comment. Yes I was keen for post adoption support to be the focus of the post because it is such a big issue for us all and one that is hotly debated among all the adopters I know.